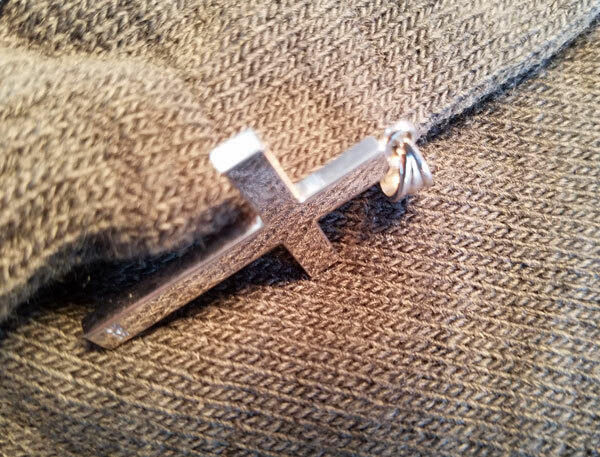 Keep your faith close and keep yourself in style with a modern cross pendant from Apples of Gold. This sterling silver pendant uses a contemporary color to keep its appeal fresh and up-to-date. The simplistic but solid pendant features a sleek design, with crisp edges on each arm of the cross. A clean finish keeps this sterling silver cross pendant radiant and versatile. Perfect for a gift to others or yourself, this pendant will make keeping the faith a symbol of style, too. An Apples of Gold� brand. Measures 1 3/8" tall by 1" across and 2.9mm thick solid (1 11/16" tall with hoop/bale). Also available in 14k yellow gold, 18k white gold, or platinum. 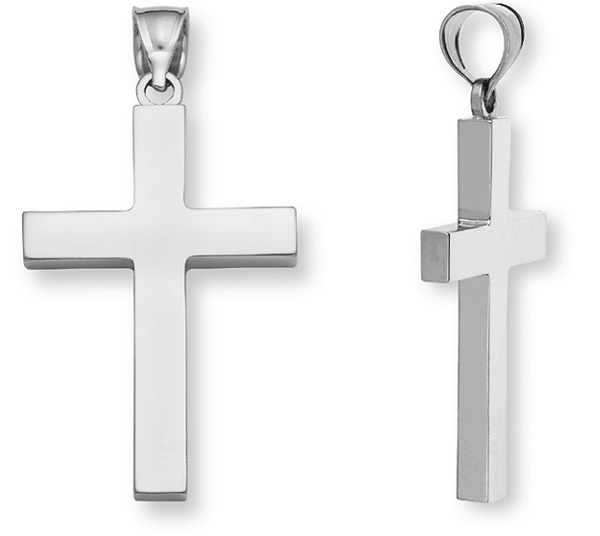 We guarantee our Men's Sterling Silver Plain Cross Pendant to be high quality, authentic jewelry, as described above.